Monument Road Bridge on the BCN. 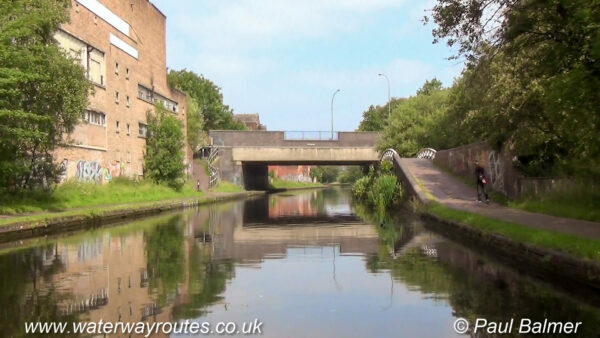 Monument Road Bridge carries Ladywood Middleway over the Birmingham Canal Navigations (BCN) Main Line. The towpath bridge on the right crosses the entrance to Monument Lane Basin and this forms a handy winding point. Boats unable to turn or wind at Ladywood Junction, around 500m (¼ mile) nearer Birmingham, can turn here.